Orthopedic care, including orthopedic surgery, can be used to treat any problem that relates to your bones, ligaments, joints, tendons, and nerves. Commonly, an orthopedic surgeon will treat problems that are caused by a sports injury, aging, or a degenerative disease. The PHInstitute is the home to specialists in orthopedic care and orthopedic surgery, offering treatment options for deformities and injuries that affect the bones and muscles of your body. Schedule an appoint with one of our skilled orthopedic doctors today to learn more about your options and our orthopedic specialists. Why is orthopedic care used? When is orthopedic surgery needed? Depending on the type of orthopedic surgery you need, your procedure will vary. Often, our physicians can use minimally invasive techniques to treat your orthopedic condition. We also have access to the full range of sports medicine services, including physical therapy for your recovery from orthopedic surgery. 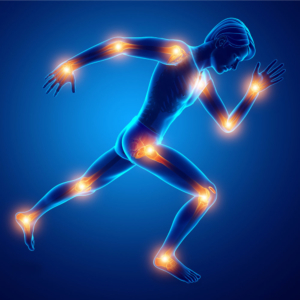 Our goal with any treatment is to get you back to your best performance and health. What are the advantage of visiting The PHInstitute for orthopedic care and orthopedic surgery? If you are suffering from chronic joint pain or an orthopedic injury, the first step to improving your health and returning to your normal activities is to schedule an evaluation at The PHInstitute. Our physicians are experts in orthopedic care and orthopedic surgery and can help you get back to performance-level health. Call one of our New Jersey office at 201-899-3560, or fill out the form on this page to request an appointment now.